When it comes to housing, it can be a bit tricky to determine how much you should spend. In today’s fast-paced, virtual world, a lot of people are choosing to rent over buying. And I don’t blame them! A common question many renters ask is, ‘what percentage of my income should go toward rent?’ That’s a great question, and the answer depends on your personal situation. Renting can end up costing you less, in some situations, than owning your own home. On top of that, there are reduced maintenance costs and it offers you the flexibility to move around much easier. But you still need to determine what percentage of your income should go towards rent. It’s not an easy question to answer. Rental rates swing widely, even in the same city. You don’t want to stretch your budget too thin, but rather leave enough funds to cover your other needs and save for the future. When determining how much of your income you should spend on rent, you also need to consider other variables. For instance, where you live, your financial responsibilities, and how much you earn all factor into your calculation. This post will provide you the steps necessary to determine how much money you should spend on rent each month. When trying to determine what percentage of your income should go to rent, only consider your take home pay. Most experts recommend spending no more than 30 percent of your income on rent each month. For example, if your net pay is $3,000.00 per month, your rent should not be any higher than $900.00. That is a pretty decent chunk of your income. If you want to stay on track financially, it’s best to stay at that amount or less. The amount in the example may seem like a lot of money. For many of us, it is. Thankfully, there are some ways that renting can definitely save and reduce your overall costs. When you rent, a lot of places will include utilities in your rent payment. If they don’t include all of the utilities, then they usually at least include water. This is because water is almost always sub-metered for multiplexes. Another service that I have found to be offered fairly regularly is cable, and sometimes even Internet. I don’t know about you, but my Internet bill is a bit higher than I would like. And as a homeowner instead of a renter, I have to pay for that out of pocket. I would love for it to be included in my housing costs. If you want to cut costs, and don’t have cable, there are ways to save on Internet without cable to put money back in your pocket. If having some of your utilities included in your rental rate wasn’t a big enough perk, then renters insurance may be an even bigger one. PolicyGenius has a quick and easy calculator to help you determine exactly how much coverage you need. Whether you end up renting or owning, insurance is a must. You never know when life will throw a wrench in your plans, so it is better to be prepared. Not only that, but a large amount of complexes require renters insurance now. This turns it from a want to into a need. Since renters insurance only needs to cover your physical property inside of the rental unit, it can cost much less than homeowners insurance. Because a renters insurance policy covers less, you end up paying less. So much so that the average cost of a renters insurance policy is $16 per month, whereas a homeowner’s policy runs closer to $98 per month, according to the PolicyGenius site. That is an average savings of $82 a month. Even though these savings tips help, there are still some ways to spend less of your income on rent. There are a few different ways to spend less on your rent, giving you more money left over at the end of each month. Below are the best ways to spend less on rent each month. First, and most important, is researching the average rental rates in your area. Is there one part of town that is typically cheaper than another part? If so, is this an area that you could potentially live in if it meant saving you $100 or more a month in rent? If you can answer yes to these questions, consider choosing a home in those neighborhoods. Just like buying a car, renting an apartment can come down to perfect timing. The winter months are typically the slowest for turnover rates. This means that if you choose to rent a new place between December and March, you will get the best rates. Nobody wants a high vacancy rate, so complexes often have special deals to get you to sign a lease. This could potentially save you hundreds of dollars a month, depending on your market. The art of negotiation is not dead. In fact, it is very much alive and well, if you know how to use it. Of course, not everybody will be up for negotiation of rental rates. But it never hurts to ask. It also helps to come in to the negotiation armed with information about comparable rental rates in the area. I have found that the more information and hard facts that I have, the better the negotiation goes. If the complex is driven enough to keep their vacancy rates down, then they will be more willing to negotiate your rate. You never know until you try. But, this tactic alone could end up saving you a pretty penny. As we get older, we are less likely to enjoy having a roommate. But having a roommate is a great way to reduce total costs. If you don’t enjoy living with other people, then look for a roommate who travels a lot for work. That way, you will feel like you are still living alone but your rent and utilities will be cut in half. Look for a potential roommate with one of these careers if you want more alone time. But if you are more of a social butterfly, then you may thrive with roommates and make some new friends. On top of finding a lower rental rate, there are some ways to reduce your overall cost of living. Even if this doesn’t reduce the housing portion of your budget, it can dramatically affect how much you spend overall and how much you save each month. One of the common mantras repeated in real estate is: “Location, location, location”. This is not any different with renting. If you find a location that is close to where you work or regularly socialize, then it will ultimately cost you less in transportation. This means that you could be saving on the amount of money you spend on gas and wear and tear on your vehicle. If you find that you don’t need to drive any more, then you could potentially sell your car and eliminate that expense. If you are able sell your car, then not only are you no longer paying for car insurance, you might make a profit from the sale. Even though your food budget is most likely less than your housing budget, it still takes up a significant portion of your monthly income. Simply cutting down on food and beverage expenses could save you hundreds of dollars a month. If you can put that money in savings each month, it can go a long way towards helping your long-term financial goals. CIT Bank is one good option, paying 1.85 percent on their money market account – 15x the national average. The best way to reduce your food costs is to stop going out to eat as much. This might be difficult for a lot of people, purely for the social aspect of it. But if reducing how many times you go out to eat per month saves you lots of money, it’s definitely worth it. Don’t overlook saving on food costs. 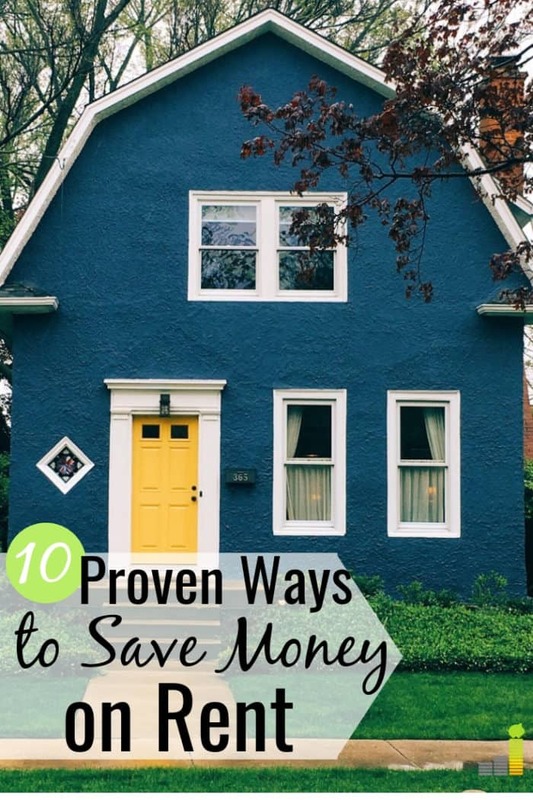 This can be a great way to lower your overall expenses. A lot of us have a gym membership, and there is nothing wrong with that. But if you are trying to reduce your living expenses, then this is good candidate to cut. Most rental complexes have a gym on site, making it a huge perk that you should definitely take advantage of. Granted, most of them are small and don’t have a plethora of equipment to choose from, but something is better than nothing. Plus, there are always ways to supplement what you are missing from your gym other ways. So get creative and get outside. Getting outside is also a great way to check out your new location and meet your neighbors. The easiest way to cut costs is by cutting the cord. The average cable bill is $110 per month. With the number of streaming, no-contract providers in the space there’s no need to have a pricey cable contract. Take a look at the best cable TV alternatives, Most of them will save you $50+ per month and still let you view all the content you want. What you spend on rent is largely subjective. We all have different goals, financial responsibilities, and location. Income varies widely, too. That also impacts how much you should spend on rent each month. The 30 percent guideline is helpful, but in many cases it may cause you to overspend on rent. This directly impacts your ability to take care of other financial responsibilities. However, by following a few of the above tips, you can lower how much of your percentage of income is paid to rent without greatly impacting your lifestyle. How much of your monthly income do you spend on rent? Have you found ways to reduce your rental rate? What are some ways that you have cut your cost of living, but not feel deprived? The post What Percentage of My Income Should Go To Rent? appeared first on Frugal Rules.